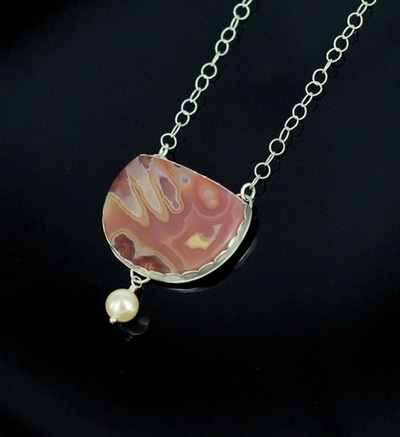 I'm trying so hard, around wrangling children and husbands, to get some new pieces done for Christmas time. I've got a whole heap of stones sitting on my workbench waiting to be wire wrapped. 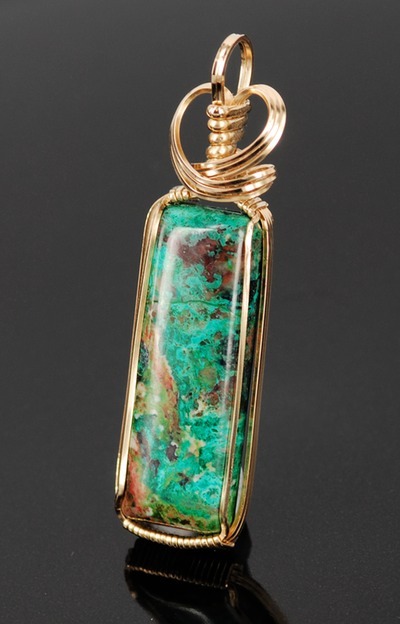 This piece of spiderweb jasper is a lovely earthy piece in green and brown - very gentle. 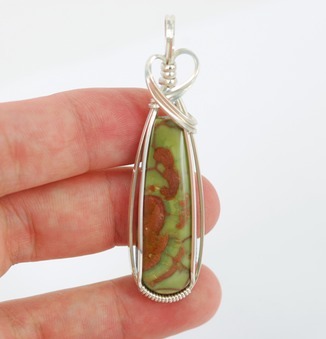 I love this green spiderweb jasper and have several pieces waiting to be set. 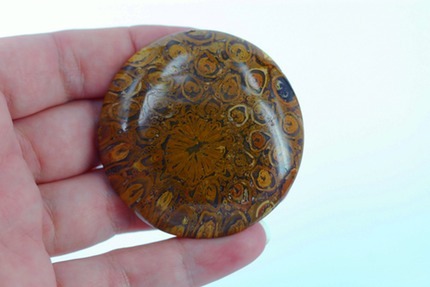 On the bigger cabochons the pinky brown patterning look like pastel peaches on branches, I'll get to them eventually, they're rather special. Keep checking in, there'll be more coming over the next few days. If you'd like to lay claim to any of these pieces before I get them up in the shop, I'd love to hear from you, send me an email. 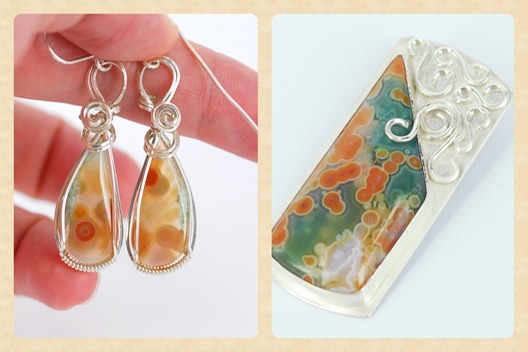 Though the earrings are wire sculpted and the pendant is silversmithed, these two pieces match in style and colour. Pretty, oui? I just love the apricot and mint green. There's so much jewellery out there for women, one of the few items that men can wear are cufflinks. 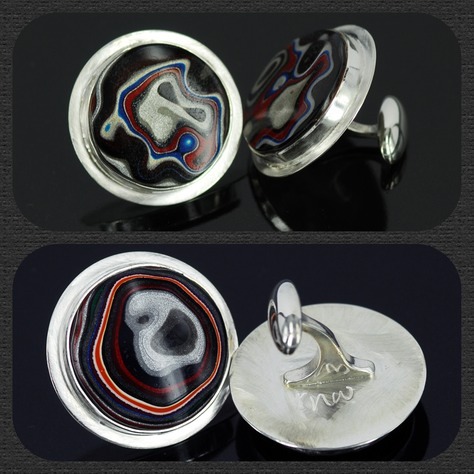 These ones are specifically tailored for the smart and fashionable carlover, being made from sterling silver and fordite, which is vintage car paint. 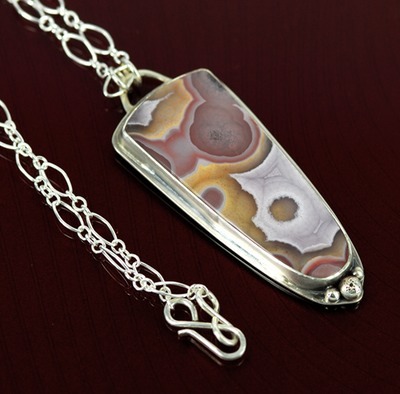 I created this custom order from a lovely lady's own cabochon of parrotwing jasper. 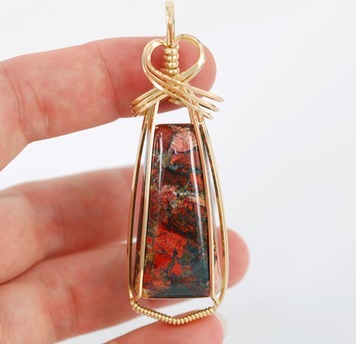 She requested that it be wrapped in an elegant style in 14k gold-filled wire. She received it today and is so happy with it. I couldn't be more chuffed! 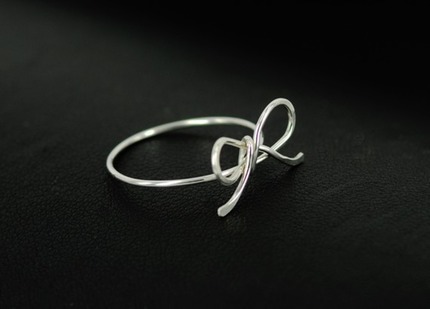 As my first blog post on my new website, and as it's coming up to Christmas (aaargh) I thought I'd feature my best-selling everyday item - the forget-me-knot bow ring. I've made hundreds of these now and I love sending them out to folks all around the world who give them to someone special or wear them for a special reason. 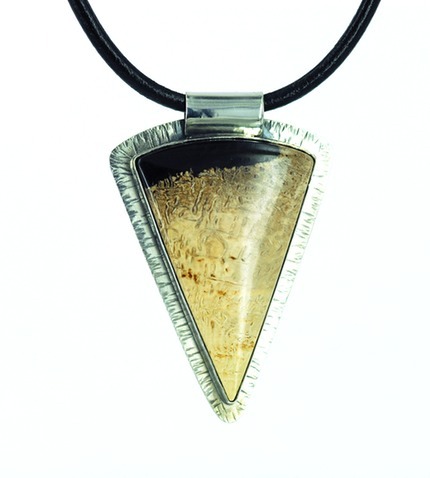 They are available in sterling silver and 14k gold-filled and I make them in any size that you need! 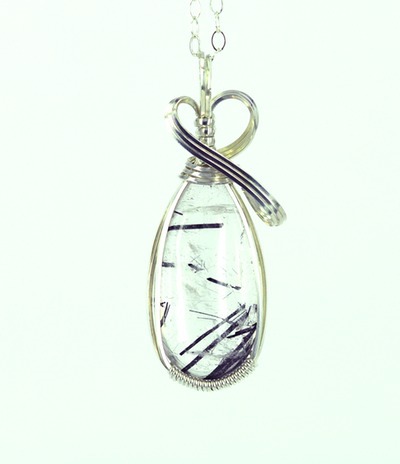 There's also a matching bow necklace with customisable dangles available in sterling silver.